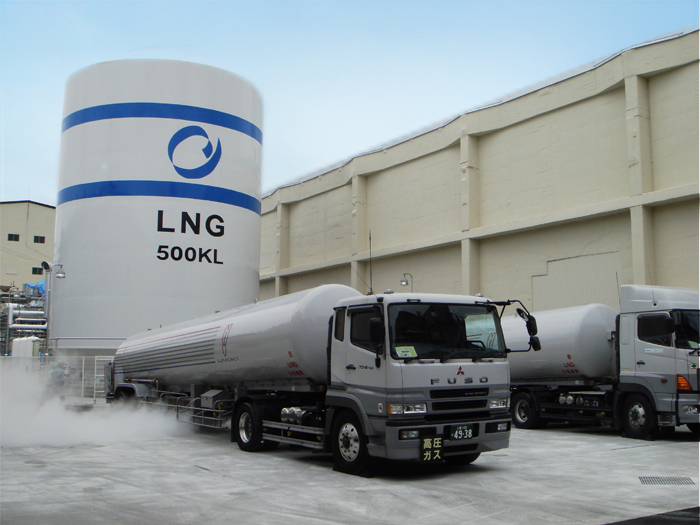 An LNG satellite terminal is a facility to receive LNG from the LNG Import Terminal by lorry, which is located a short distance away. 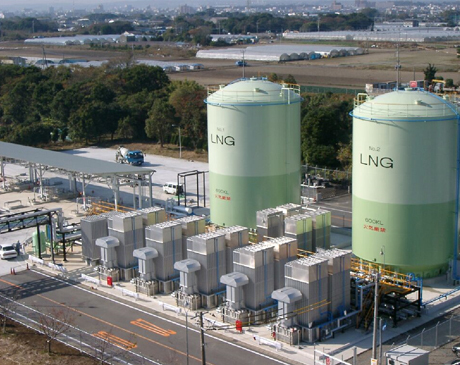 (normally less than 150 km). 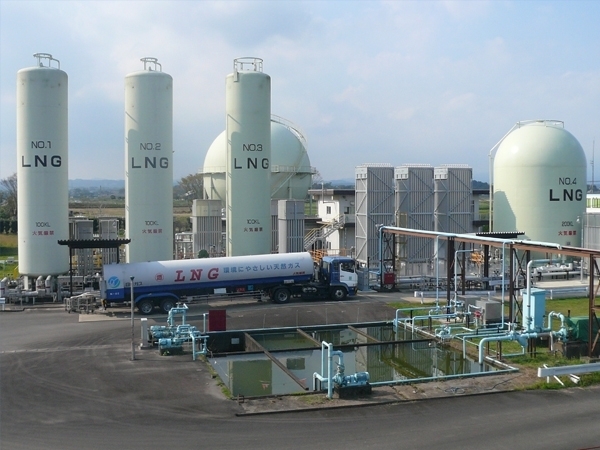 We constructed the entire terminal, including processing, civil & structure, tankage, electrical & instrument, and control & automation. 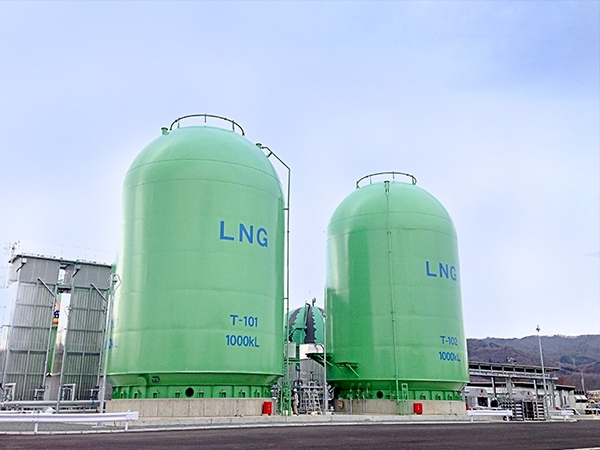 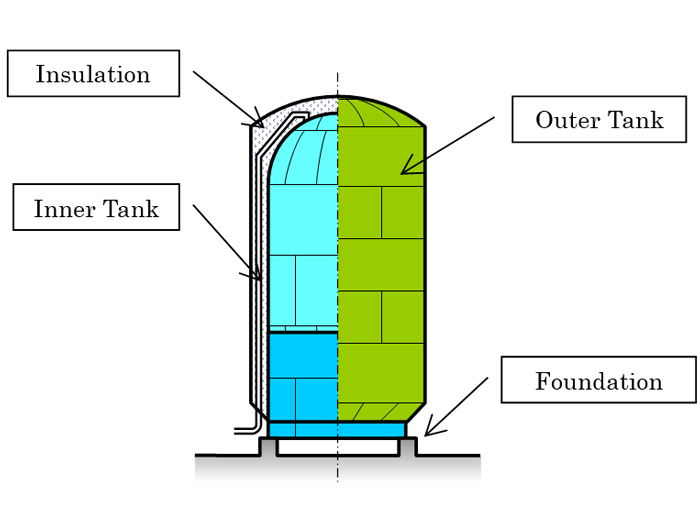 An LNG vertical cylindrical tank is a tank which we first developed in Japan. 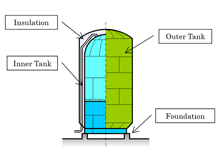 It has superior heat insulation and earthquake resistance. 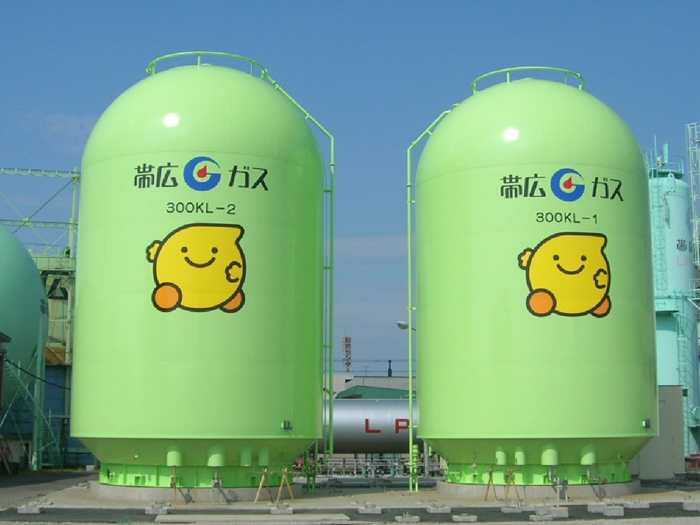 Since production began in 2003, we have made many tanks for gas companies and manufacturing factories. 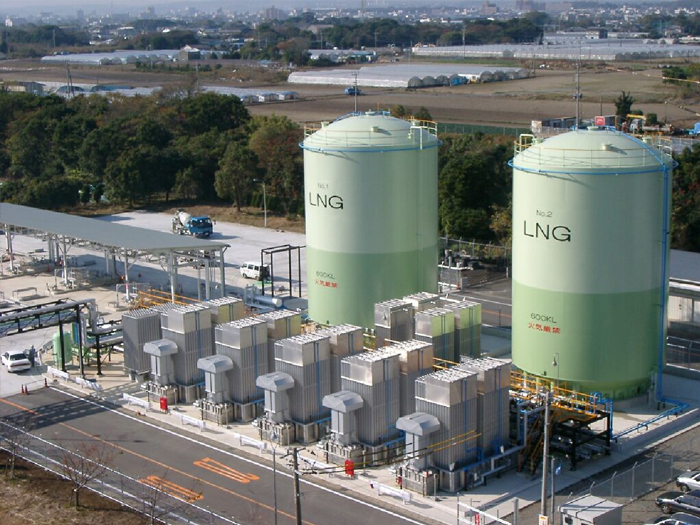 We constructed the terminal efficiently in a limited area, where the surroundings could not be disturbed. 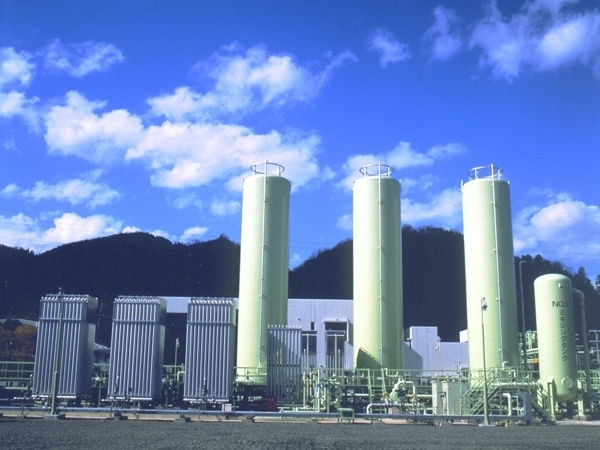 This system corresponds to gas energy changes, and for small and large flowing volumes. 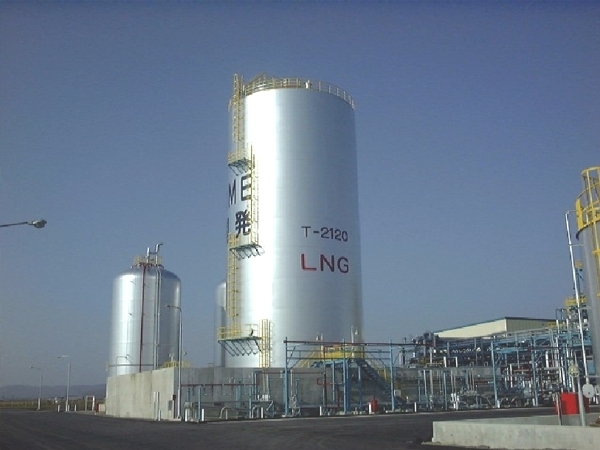 They comprise LNG tanks, vaporizers and BOG heaters, sprinkling heaters, mixing tanks, governor facilities, odorization / de-odorization equipment, and hot water boilers, aiming to build a labor-saving system.